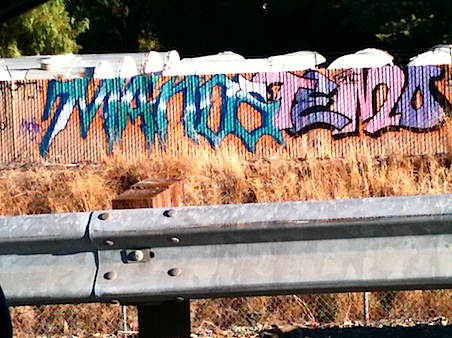 As I drive to work in the morning, I see this graffiti along the side of the road. Try as I might, I can’t quite make out what it actually says. It’s kind of pretty though — for the ugly vandalism that it is.